I’ve read a lot about Silence since I saw it on a Thursday night last month. The “30 years” reference in the title refers to the length of time that director Martin Scorsese has been contemplating this project before it finally debuted in December. Anyhow, like a lot of movies I end up blogging about, I was excited to see this Scorsese helmed epic from the moment I saw the first trailer late last November. And, I think a little context might help you, Dear Reader, on this particular entry. Just a little bit of background on me, I grew up in Cincinnati, OH and was born to Christian parents. My Dad rarely, if ever went to church – because he grew up in one. I was confirmed Presbyterian. I went to Catholic high schools from kindergarten to senior year of high school. So, Christianity is a bit second-nature to me. And, from my diverse Christian upbringing, I have a lot of understanding on the subject – and a lot of interest in understanding other religions, beliefs and philosophies. 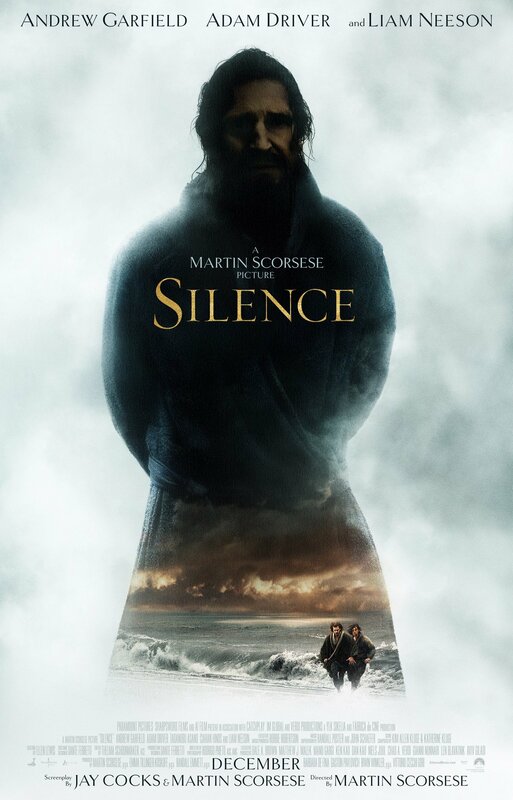 I preface this particular entry with that disclosure, because I think Silence is like a lot of other films that explore world religions and crises of faith. These films tend to be extremely personal and sensitive experiences. So, if you’d like to skip to the next entry here on ronhamprod.com, I won’t have hurt feelings! 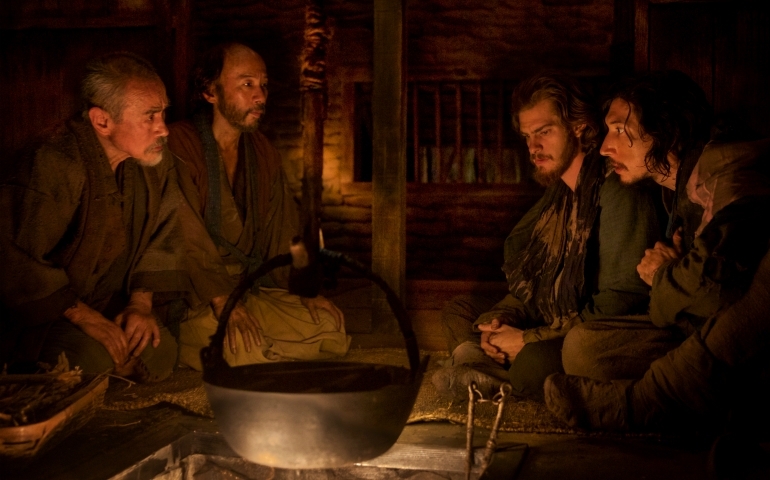 However, I really hope you take the opportunity to see Silence as I personally believe it possesses themes that we can all relate to, regardless of religion, faith, belief, doubt, etc. As Andrew Garfield’s Father Rodrigues asks so eloquently in the trailer, “Am I just praying to silence?” I feel like that’s a question which many of us can relate to – and a profound question around which to compose a film. I can’t help but go back to my upbringing for a moment and divulge that I attended St. Xavier high school, which was a Jesuit run “college preparatory academy.” I have lived a blessed life – and I hope this entry at least makes some of my teachers, not to mention my parents, grin with pride. The reason I mention it is that Father Rodrigues mentions the Jesuits and St. Francis Xavier himself in Silence. Having some of this context, just like having context when you read the Bible for the first time, would really help before seeing the movie. The Jesuits are kind of the entrepreneurial sect of Christian “men of the cloth.” So, when Dutch, Portugese and Spanish explorers set out to discover new lands, Xavier and Jesuits like him hopped aboard. They were just as interested in spreading the word of God as the explorers were in finding new land and exotic wares. With all of this in mind, it was a crisis how Japan had reacted to Christianity’s spread. Basically, by the time we meet Garfield as Rodrigues and his fellow priest Garupe (played very well by Adam Driver), the country has executed a harsh backlash against anyone harboring the faithful, much less proclaiming to be Christian. As the film brutally demonstrates, feudal Japan had rules – and they would be adhered to. 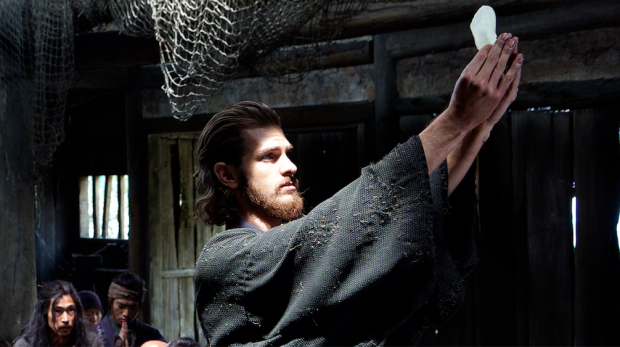 In one way, Silence is the ultimate adventure film, in which we get to be that “fly on the wall” watching Rodrigues and Garupe travel to the land of the rising sun, find a foothold with a group of faithful, elude the local samurai enforcers and do their best to give hope to Christians who have been praying for their arrival. How do they give hope? They make little crosses out of the local leaves and grass to give to the villagers. Rodrigues and Garupe hold mass in the middle of the night in quiet sanctuary, hidden from the government officials. They hear confessions, particularly the recurring, consistent admissions of Mokichi (played with immense depth by Shin’ya Tsukamoto). Mokichi actually helped the priests navigate from Macau to Japan, and his involvement in the film is one of the more thought provoking elements of the entire story. Just as there are two ways to look at Rogue One – from a purely film perspective and then from one of spectacle – the Viewer can perceive Silence as a film about Christians, for Christians. But, the alternative view is a film about the human condition, which happens to be set in a very desperate time and place within Christian history. Regardless of how you actually watch the film and digest it, I can tell you it is indeed an experience. 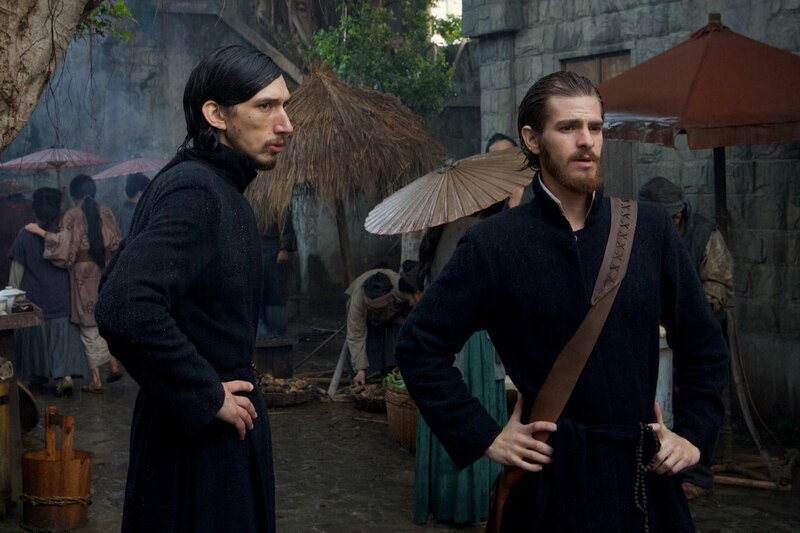 Just like the other films on our “Top Ten” list for 2016, Silence is expertly crafted, from the writing to the performances to the props and costumes – everything down to the heavy accents the local feudal officials speak with. In fact, it goes to show what a master Mr. Scorsese is because this title is such a departure from his work of late. Silence is just as expertly crafted, but it is sailing in very different seas than The Departed, Wolf of Wall Street and even Hugo. So, from a purely film perspective, you simply have to give Silence its due. As I’ve already qualified, I admittedly see the film through the lens of my own Christian background. From that perspective, it’s a nearly three hour experience that I hope all Christians take the time to see. In one scene, as three of the Japanese faithful hang on crosses and await a death by drowning at the hand of the government officials, I felt like I was drowning in guilt. In another, when Rodrigues and Garupe are cowering in their little hut, hoping they haven’t been discovered, I was terrified. When Rodrigues separates from Garupe so that he can travel to a nearby island where Mokichi insists the faithful need to see him, I felt elated and excited for the possibilities new believers experience. In short, the often used descriptor “emotional roller coaster” doesn’t do Silence justice from my personal, Christian perspective. And in that same vein, the film stuck with me. The next day, I thought a lot about the conclusion, over and over about “Act Three.” Then, I would drift to Mokichi’s character and his challenges again. Later, I would be angry at the persecutors, but then.. I’d think about the outcome and the anger and frustration would leave. The thought I want to end with is that the Oscar nominations have a tendency to spark debate over which film should be given the ultimate honor for an entire year of work. Frankly, I think movies are a little more personal than that – see my 2016 “Top Ten” list for an elaboration on that thesis. People’s favorite all time films are oftentimes completely contrary to what you might expect. I had to select Silence because it deeply effected me – but, that’s not to say it’ll do the same for you. And that’s OK.
Really great post, man. I’m looking to see this ASAP.